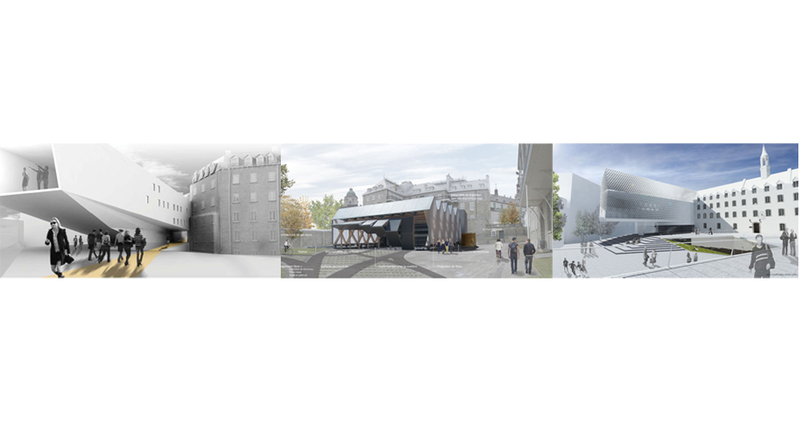 To commemorate the 50th anniversary of its founding in Quebec City, the University Laval School of Architecture hosted an ideas competition for an «emblematic addition» to its heritage building. Situated within the fortification walls of Quebec City, the School of Architecture reflects on building for the future in a city rich in layers of the past. This competition, open to practitioners, faculty, students and intern architects, provided an opportunity to reflect upon a universal problematic: how to build the city of tomorrow in the complex urban fabric of the past. Kollectif.net (14 mai 2011) Lauréats - École d'architecture (U. Laval) - "Concours du 50e: Ajout manifeste"